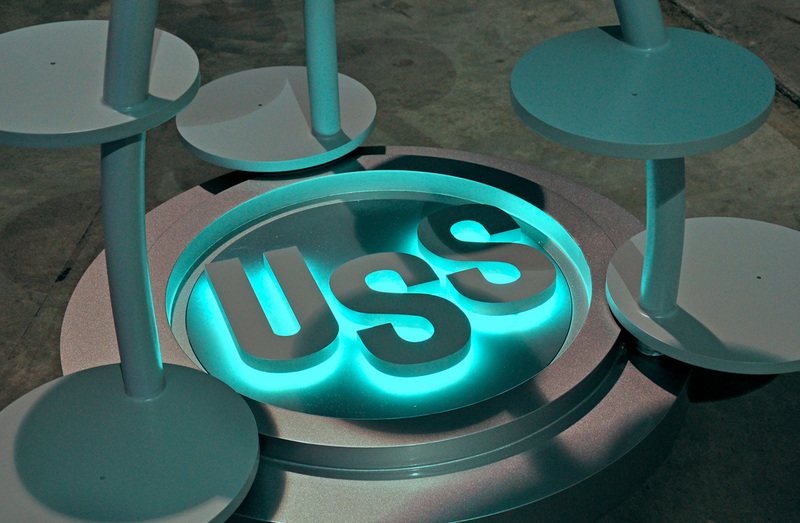 U.S. Steel is the largest steel company in the nation. Their primary product lines are sheet, tin, and tubular steel. 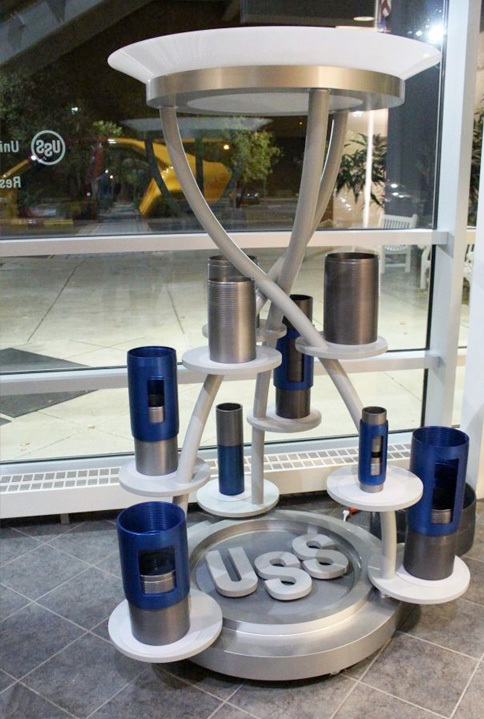 Bearing in mind the common view of steel as a product commodity, U.S. steel wanted to display its tubular product in a way that stood out from competitors. Demonstrating steel products often presents a challenge in the industry. 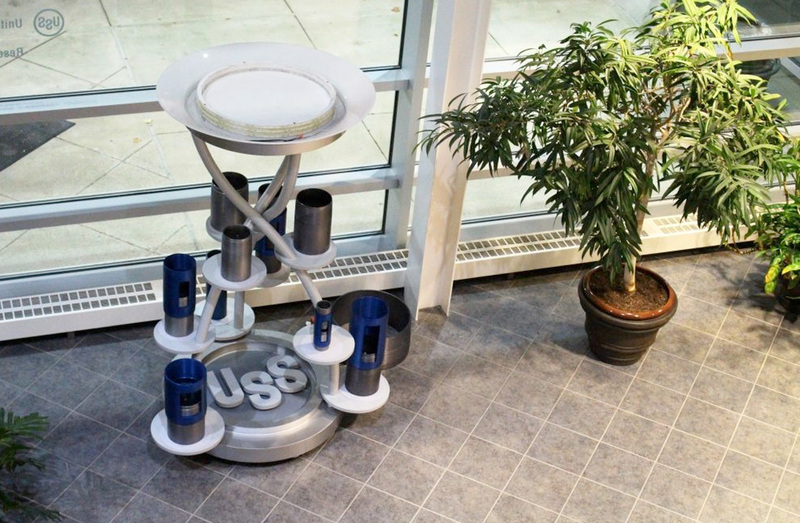 Sample products may give an idea of the overall product and spec sheets can provide a buyer with the necessary details, but U.S. Steel wanted a piece that elevated their product. They wanted a display that truly stood out and showed their product as second-to-none. The design team took a truly ambitious approach to the display. Despite the steel product itself being a very heavy and therefore cumbersome material, the concept called for the tubular pieces to be highlighted in an elevated, spiraling fashion that defied convention for hefty steel products. Great lengths were taken to achieve this end. 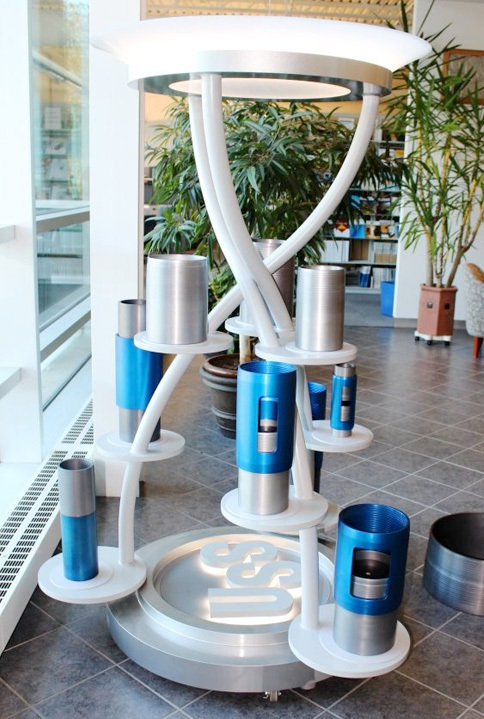 A custom internal “donut” system was developed to buoy each tube to its anchor spreading from the piece’s signature core design which resembled a double helix sprouting from the branded base unit. Precise engineering and careful planning were required to balance the piece both physically and aesthetically to marry the steel samples with the artful display. 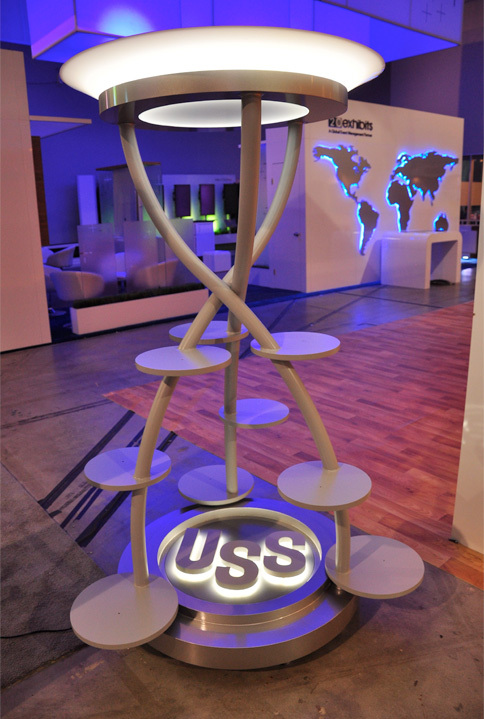 The custom fabrication of the base and spherical "globe" top piece were artfully brought to life by back lit and halo light design accents that complimented the structure while not compromising attention to the product itself. The custom painted tubes allowed the products to be the star of the piece, creating a perfect blend of product display with work of art.